Get Paid To Shop Online With Swagbucks! One of my favorite ways to make money online is by shopping. You do have to spend money, but you’re already shopping online, so you might as well make some extra cash back for it. 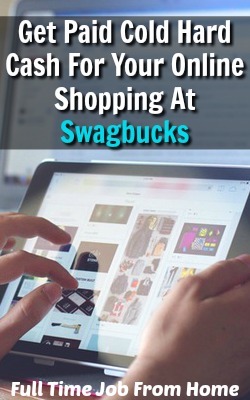 One of my favorite sites to get paid for online shopping is called Swagbucks. If you’ve been on my site before you’ve probably heard of Swagbucks, it’s one of the reward sites that I highly recommend. Not only does Swagbucks pay you to shop, but you can also get paid to complete offers, take surveys, watch videos, and much more! Today I’ll focus on the online shopping side of Swagbucks; I’ll show you how it works and how you can make some serious cash back on your online shopping sprees! How Does Swagbucks Shopping Work? The first step to earning cash back at Swagbucks is by signing up for a free Swagbucks account. You’ll receive $.70 just for joining and if you make $3 in your first month you’ll get a $3 bonus! The next step is to head to the shopping tab. They pay cash back to over 1,000 online stores, so there’s at least a few of your favorite stores available. You’ll be able to see what stores are available and how many Swagbucks they pay per $1 spent. Once you find a store you’d like to shop at, visit the store through Swagbucks. A new tab will open with the store you choose. From here, it’s the same process you’d usually do when shopping. Feel free to shop around and browse a few items. Once you’re ready to make a purchase, proceed to the checkout process and make the purchase. Once you’ve made your purchase, pending cashback will appear in your account, usually within a few days. Most shopping cash back is approved within 30 days, just to give you time to return a product if needed. How Does Swagbucks Shopping Pay? As you earn cash back for your shopping, you’ll get paid in points, which are called Swagbucks. 100 Swagbucks is equal to $1. Most reward options start at 500 Swagbucks or $5. Swagbucks has a wide variety of gift cards available including Amazon, Walmart, Target, Starbucks, and many many others. They also offer PayPal payments starting at 2,500 Swagbucks or $25. I’ve used Swagbucks shopping for a few years now, and it’s honestly incredibly easy to forget that you can earn cash back on your purchase. One awesome tool is called the Swagbutton. It’s a browser toolbar that will remind you that you can earn cash back every time you visit a website that offers cash back at Swagbucks. It’s a safe and easy download that can help you maximize your online shopping cash back! Make sure to click on “Activate Shop & Earn,” you’ll now get cash back for your online purchase through Swagbucks! 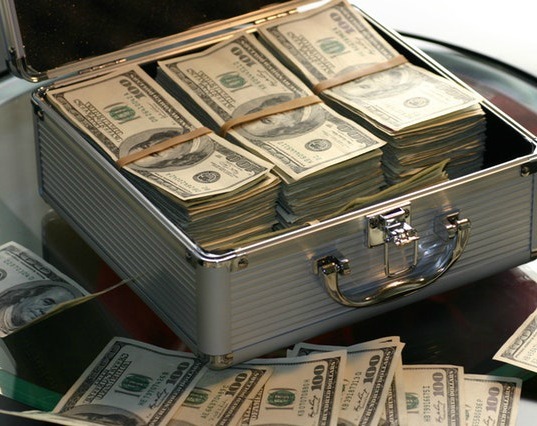 Now that you know cash back shopping is legitimate, it’s time to start making money for your online shopping. Signing up for Swagbucks is completely free and super easy. You’ll earn $.70 for joining and if you make $3 in your first month you’ll earn a $3 bonus! You can get started with Swagbucks by visiting Swagbucks.com!